Scott and Susie Mackay serve the real estate needs of Chicago's Far West suburbs from the @properties St. Charles, Illinois office. When you work with Scott and Susie you are guaranteed a forward thinking, collaborative and spirited team that makes one of the most important transactions in your life enjoyable. Whether representing buyers or sellers, large homes or small homes, Scott and Susie understand that buying and selling real estate is a tremendous financial and emotional process, and they make it a point to explain even the smallest detail. They listen carefully to each client's needs and respond with honesty and enthusiasm. Sellers can rely on Susie Mackay's market knowledge and unmatched negotiating skills. Scott Mackay's 40+ years in the radio business have helped him to develop a broad customer data base, and his marketing abilities are unbeatable. Scott and Susie are with you from the very beginning through closing, and work tirelessly to meet the needs of their clients. Together they are an energetic and responsive full service real estate team. Scott and Susie are committed members of the Fox Valley community and have lived in the area for 20 years. They are keenly aware of the nuances of each community in the Fox Valley area. Together they serve the Western suburban area and approach each client's needs with integrity, compassion and personal service. Scott and Susie Mackay spend the majority of their free time working with local charities, such as The Northern Illinois Food Pantry, 360 Youth Services, and countless other volunteer driven organizations. As a team they are passionate about helping others realize their dreams – whether it is in real estate or beyond. 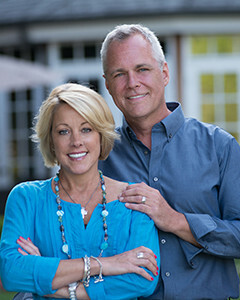 Scott and Susie, Mackay Real Estate specialize in The Fox Valley and surrounding areas.